The Clock Tower Dungeon is the main location for the Clock Tower Quest. 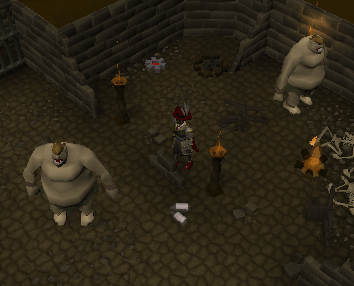 The four cogs that you have to find in the quest can be found in this dungeon. 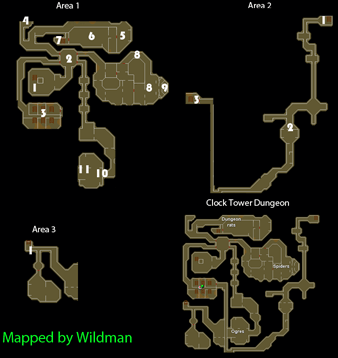 There are the areas that in this dungeon, and each area can only be accessed by that area's ladder on the surface. 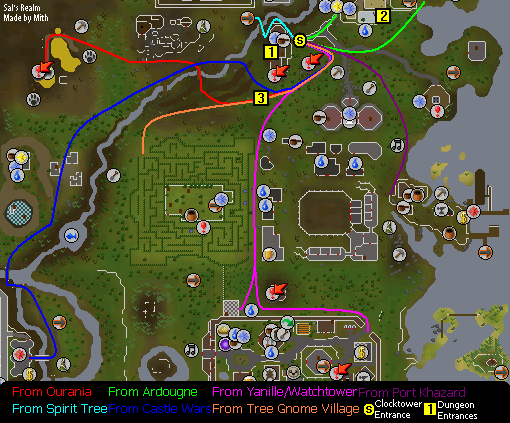 The most common ways to reach this dungeon are by teleporting to either Ourania (Lunar Spellbook), Ardougne, Castle Wars or the Tree Gnome Village and walking, or by using the Charter Ships and walking from Port Khazard. 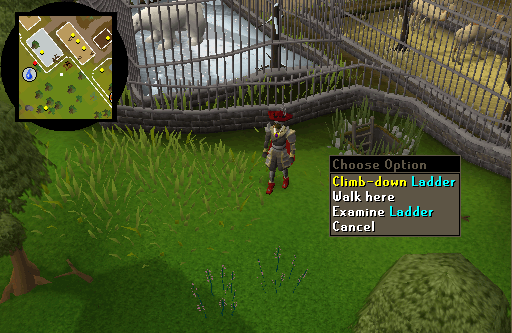 Climb down the ladder on the Clock Tower surface to enter the dungeon. Also, the tower here is where you will put all the cogs that you find. 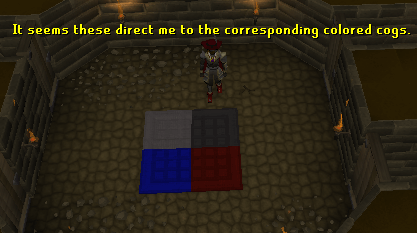 The four tiles on the floor give you the colors of the cogs you need to find, and give a hint to their locations. 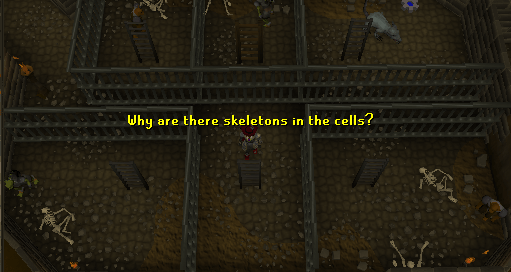 One of these cells contains the blue cog, but that cell is inaccessible until you enter Area 2. 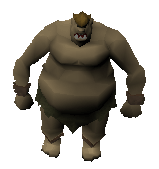 This is required for the Clock Tower quest. Pull these levers to gain access to the dungeon rat room and the white cog. 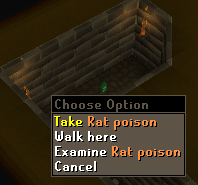 Use the Rat Poison on the food trough to get past the rats. 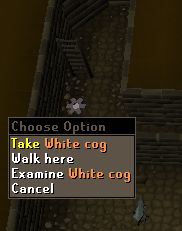 Use the Rat Poison that you found before on the food trough to kill the rats and reach the white cog. Here you will find one of the four cogs required for Clock Tower. Giant Spiders (Level 4) inhabit these corridors. 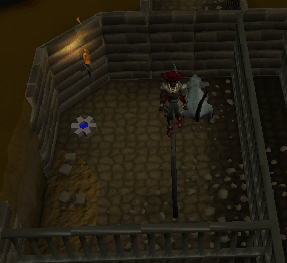 Inside the Fire Room, either use a bucket of water with the cog, or pick it up whilst wearing the Ice Gloves. 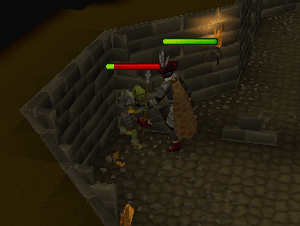 This room is home to the Ogres (Level 96). Here you can find the Red Cog. With this cog, you can just walk right in and pick it up. The only way into Area 2. 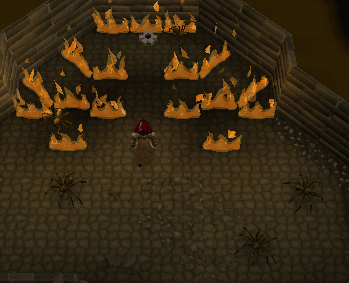 Goblins (Levels 4 - 16) inhabit this room. The final cog is here along with a Dungeon Rat (Level 16-26). 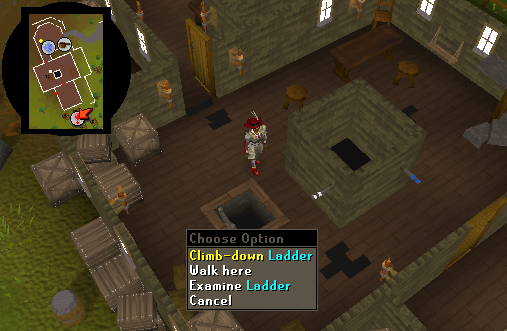 Enter though a secret door and head up the ladder to get out. The ladder to here can only be seen when you are standing inside the stone circle. Thieves (Level 20) and the Head Thief (Level 32) can be found here, and so can a Child's Blanket, which is used in the Monk's Friend Quest.